The EXCITE Recline has always been the alternative cycling experience of choice for those who want a moderate cardiovascular workout, or who have limited mobility. With its latest improvements, the new Recline is now more accessible than ever. A wide walkthrough space between the front and back ends, plus a 10% reduction in height, make Recline easily accessible to less mobile and overweight users. In addition, the seat now has a simple back adjustment lever which can be used while the user is seated. So every user can quickly find a comfortable position for his or her workout. Every detail, including newly designed pedal straps, are combined to make the new Recline a perfect choice for active seniors and those with limited mobility. A goal oriented display will help keep your members on track and motivated. Constant heart rate can be monitored using the HAND SENSORS. 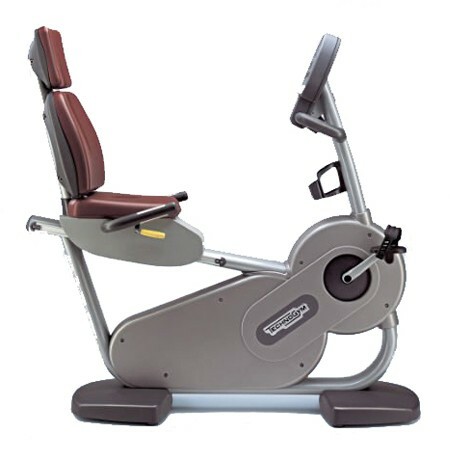 With FAST TRACK CONTROL users can adjust the intensity level of the exercise from the handles at the side of the seat without having to interact with a keypad. Shows training progress based on TIME, DISTANCE, CALORIES. The level of training intensity can be set by heart rate. The favoured workout information is uploaded via the key: insert and start training.